Perfect for sending documents in the mail or securing them in storage, this 3-piece Large Manila Clasp Envelopes Set features envelopes made from heavyweight craft paper for strength and security. Each envelope has a reusable metal clasp and a moisture-sealing adhesive flap. 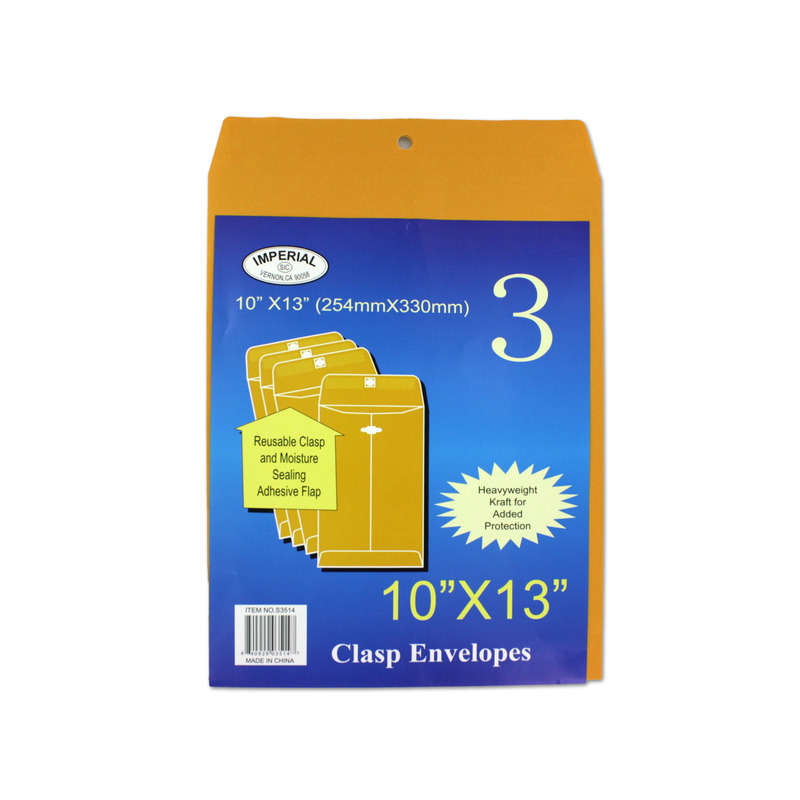 Envelopes measure approximately 10" x 13" when closed. Comes packaged in a hanging poly bag.